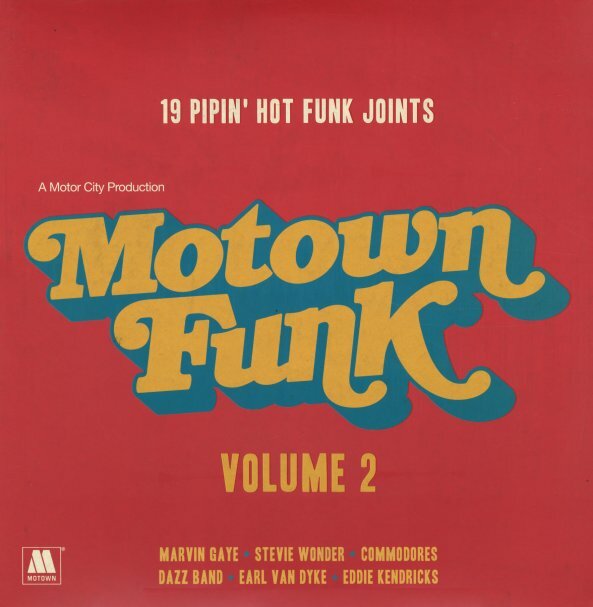 Funky cuts from the Motown catalog – a set that mixes key classics with a number of overlooked album cuts – all to remind us that the Motor City label could get plenty heavy in the groove! There's a few cuts here you'll know from hip hop samples, a few you'll remember for their own fame, and a number of others that should hopefully come as a new discovery – and which really make the package great! Titles include "Drink The Wine" by Valerie Simpson, "Gonna Find A True Love" by Bottom & Company, "Machine Gun" by Commodores, "Thank You Falletinme Be Mice Elf Agin" by Earl Van Dyke, "Closing Jimmy's" by Marvin Gaye, "Behold" by James Jamerson, "It's The Same Old Love" by Jerry Ross Symposium, "I'm Losing You" by Rare Earth, "To Know You Is To Love You" by Syreeta, "Haiku" by Puzzle, "Got To Give It Up (part 1)" by Marvin Gaye, "Keep On Truckin" by Eddie Kendricks, "Every Time I See You I Go Wild" by Stevie Wonder, "Runnin" by Edwin Starr, "You Can't Judge A Book By Its Cover" by Yvonne Fair, and "UFO's" by The Undisputed Truth. © 1996-2019, Dusty Groove, Inc.